We help companies reach peak performance in their back office so they can operate at their optimal level and become more competitive, agile, and efficient in an ever more disruptive world. We focus on three primary areas: Finance & Accounting, Information Technology and Customer Service. Auxis' founders met in the early 1990s while succesfully implementing a multi-year, business transformation project for the Latin America Beverages Division of PepsiCo. Through their industry experience with PepsiCo and other employers, they identified a genuine need for a new consulting approach to helping companies transform and achieve breakthrough performance faster and more cost-effectively. 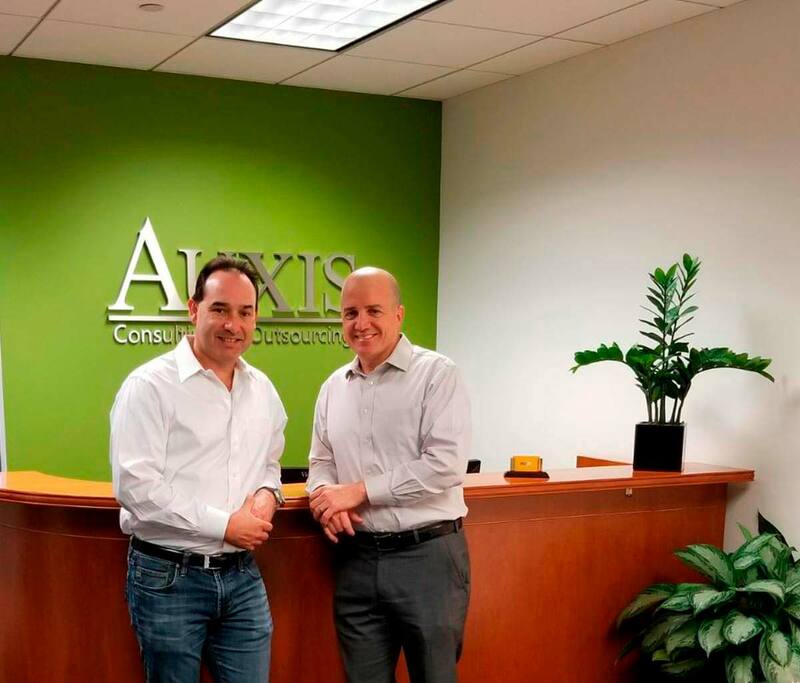 Auxis was founded in 1997 with the purpose of providing a different alternative to the traditional consulting model. Throughout the years, we have served hundreds of companies and built a unique, innovative delivery model that is focused on customization, flexibility and faster speed to benefit. Our hands-on, "roll-up your sleeves" team is comprised of former industry professionals, not career consultants, that can effectively provide both operational strategy and implementation. In 2005, Auxis Outsourcing Practice was established at the request of our consulting clients. At first, we started with a U.S. based model, and later in 2009 we expanded our platform to Costa Rica, consistently ranked as the number one nearshore outsourcing destination for the Americas. 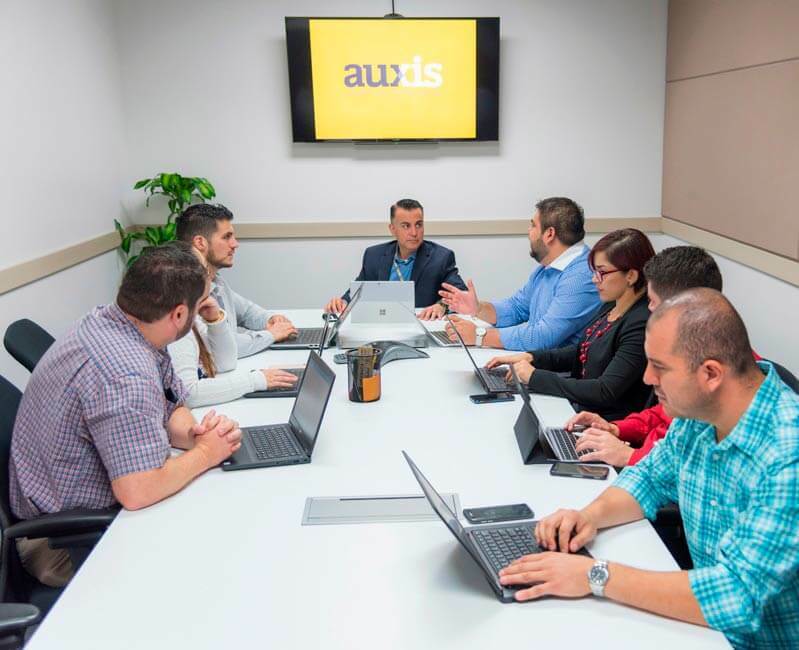 With over 20 years of experience in Latin America, Auxis' Nearshore Delivery Platform is comprised of its main hub in Costa Rica, and extended partners in Colombia, Mexico, Belize and Argentina. The unique combination of practical business knowledge and information technology expertise enables Auxis and its clients to prepare for what's next on the business horizon. These seasoned professionals lead and inspire the Auxis organization and daily drive the strategic vision for our success. Consulting or outsourcing delivery model based on your needs. Customized flexible approach - one size does not fit all. Experts in aligning IT to business strategy. Tenured, hands-on advisors, operators and former industry professionals. World-class nearshore service delivery platform. Performance-driven mindset. Automation and best practices are in our DNA. Committed to delivering tangible business outcomes. We believe that by focusing on what is best for our clients we will achieve long-term success for ourselves. We believe in vigorous and open debate to get to the right answers. We collaborate with you to understand your business and design solutions tailor-made to your success factors. Innovation and continuous improvement are part of our DNA. We help you embrace new ideas and challenge the status quo. We believe that success cannot be achieved individually, it requires strong collaboration. We don't nickel and dime you over the written agreement. If it turns out that we need to change course midway to get you where you need to be, we'll do it. DO YOU HAVE THE RIGHT STRATEGY TO ACHIEVE YOUR GOALS? Raul is an accomplished executive consultant with over 20 years of experience in Fortune 50 international organizations and professional services. Raul focuses on helping clients develop the strategies and operating platforms required to deliver consistent growth and profitability. He has significant multi-national experience and a strong record of achievement in food and beverage, logistics and consumer products industries. Prior to co-founding Auxis, Raul worked with PepsiCo International and Price Waterhouse. He is a graduate of the University of Florida where he earned both a Bachelor and Master of Science degree in Accounting. Interesting Fact: Raul has worked in 15 countries throughout his professional career. Alvaro leads the firm’s technology practice and brings over 25 years of leadership, achievement and strong business and information technology experience to Auxis, having previously worked for companies like Merrill Lynch International and Pepsi-Cola International. 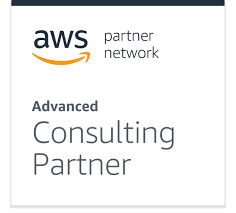 Alvaro has tremendous strength in leading large software developments, implementations and external teams throughout Latin America, Europe, Asia and the United States for financial services, manufacturing, distribution and non-profit organizations. He has managed and delivered business and technology projects to over 300 different companies ranging from small to large enterprises. Interesting Fact: In addition to being an Eagle Scout in his native country of Colombia, he is a Colombian national skateboarding champion who has endorsed many national soft drinks in television commercials and print ads. Bill is the president of Pruitt Enterprises, LP and Pruitt Ventures, Inc. Bill’s career began with Arthur Andersen & Co. where he remained for 33 years, retiring as the managing partner for Florida, the Caribbean, and Venezuela. He is a founding board member for the Florida Chapter of the National Association of Corporate Directors and served as President until 2009, where he continues to serve on the Board of Directors. He is also a past president of the Florida Institute of Certified Public Accountants. Since retirement from Arthur Andersen, Bill has continued to serve in advisory and audit committee leadership roles, including Adjoined Consulting, Inc.; PBSJ Corporation; Mako Surgical Corp.; KOS Pharmaceuticals, Inc.; Greensmith Energy Management Systems, LLC, and the Coral Gables Trust Company. He has held trustee or board member roles at the University of Miami; the University of Miami Citizens Board; the University of Miami Alumni Association; the Miami Bankers Club; the Florida Chamber of Commerce; the Greater Miami Chamber of Commerce; the Greater Miami Free Zone; the Miami Ballet; and the Tropical Girl Scout Council. Interesting Fact: Bill was selected by the University of Miami Business School as the Alumnus of Distinction in 1997. 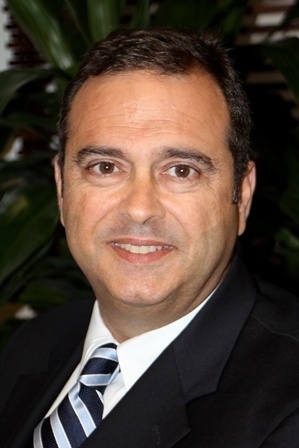 Alvaro (Al) Monserrat became Chief Executive Officer of RES in April 2015, after a fifteen year career at Citrix Systems, Inc. Over the last decade, Monserrat has carved out a reputation as a charismatic, results-oriented leader and engaging speaker. 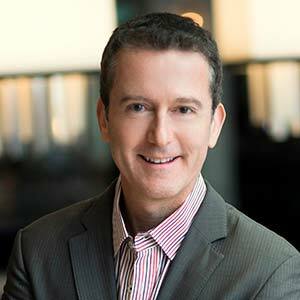 At Citrix he was part of the executive leadership team that grew the company from hundreds of millions to more than $3B in revenue in 2014, and was instrumental in crafting the strategy that helped Citrix grow from a single-product company, to a multi-product industry leader. During his seven years as Citrix Senior Vice President Worldwide Sales and Services, Mr. Monserrat led the global sales and services organization, growing revenues by almost 90 percent. He also served as Citrix Vice President of North American Sales, where in three years he more than doubled revenue and led the transformation of field operations into a multiple product and multiple route-to-market organization with a keen customer focus. Previously Mr. Monserrat was in leadership roles with Innovex Group, which was acquired by Citrix, and Accenture. Eric brings more than 30 years of financial operations and professional services experience to his role at Auxis. Eric has spent his business career helping companies design highly efficient financial back office operations, including the integration of financial systems and automation to drive optimal performance. Eric joined Auxis in 2002 and has been involved in all areas of the business, including management consulting, systems integration, performance improvement and internal operations. He currently leads Auxis' Business Process Outsourcing Practice where he focuses on helping clients, develop customized, high value back office solutions. Adan is a Finance and Accounting trusted advisor with a proven record of accomplishment in developing and maintaining financial systems and processes, driving forecasting, budgeting, and liaising with key stakeholders at all levels to mitigate risks and accelerate profitability. He brings a wide breadth of hands-on finance experience, including in areas such as FP&A, Shared Services, international tax, cost accounting, internal controls, financial system implementations and process improvement. 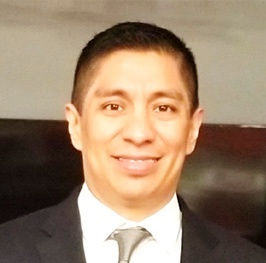 Prior to joining Auxis, Adan worked for multinational and Mexican organizations on a variety of industries, most recently at Baxter Healthcare as the LatAm Region Finance Controller after a successful tenure as FP&A LatAm Head, his experience also includes consulting and advisory services at Arthur Andersen (Accenture). Adan has an MBA in Finance and is a CPA. 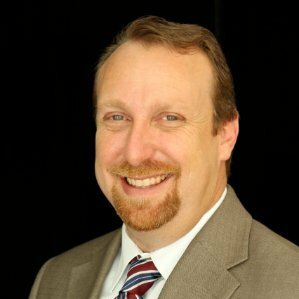 Dan is an accomplished executive with over 20 years of experience in Strategy, Consulting, & Advanced Analytics. As the leader of our Management Consulting practice, Dan leverages deep experience within the Retail, CPG, & Financial Services Industries to deliver large scale Integration & Business Transformation projects. Dan also serves as an Auxis Subject Matter Expert for projects within the Retail & CPG industries as well as functional projects within the Business Intelligence, Customer Marketing, and Analytics space. Prior to joining Auxis, Dan held several leadership positions in both Strategic & Operational roles. He has deep experience working with C-level executives and Operators to identify and deliver innovation opportunities that drive results with minimal business disruption. Dan holds an MBA with concentrations in Finance & Competitive Strategy from the Warrington School of Business at the University of Florida and a Bachelor’s Degree with a Major in Accounting from the University of Dayton. Jose Alvarez is the Director of the IT Managed Services Practice for Auxis, and leads our IT Outsourcing and Solutions practice. Jose has extensive experience with large multinational companies delivering technology best practices. His expertise includes IT strategic planning, cost control programs, emerging technologies, IT operations and infrastructure management. An Information Systems Executive with over 25 years of IT technical and management experience, Jose is a dynamic leader and mentor able to build team cohesion and inspire individuals to strive toward ever higher levels of achievement. Manny Cueto is an accomplished executive with more than 25 years of progressive experience in all aspects of domestic and global operations, including a strong LatAm understanding. He currently leads Auxis’ Management Consulting Practice where he manages consulting engagements in strategy, business transformation and performance improvement. His background covers strategic planning, shared services, M&A integration, logistics, manufacturing, engineering, and sourcing & procurement. His experience in leading multiple business transformations across multiple, diverse and disparate geographies has resulted in transformational improvements for many companies. Manny is an active member of the Council of Supply Chain Management Professionals (CSCMP). Interesting fact: Manny is an Eagle Scout with the Boy Scouts of America and enjoys his leisure time doing outdoor activities. Lizzie brings over 18 years of experience working in the professional services industry. She has extensive experience working in a variety of back office roles including Operations, Marketing, HR, and Accounting. As Auxis’ HR Director, she leads the HR function and strategy for the entire organization and plays a key role in developing a talent agenda that aligns with the organization’s business priorities. 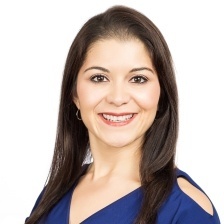 She supports a workforce of over 200 employees in the US and Costa Rica and works closely with management to develop and implement broad based HR policies & programs, including recruitment, retention, organizational development, employee relations, performance management, professional development and government compliance while supporting the corporations’ overall strategic direction and daily operations of the organization. She also plays the critical role of coach and advisor to all business leaders regarding people and organizational strategy. Lizzie is a certified Senior Professional in Human Resources (SPHR) and holds a Bachelor of Business Administration in Management Information Systems from Florida International University. Interesting Fact: Lizzie is a certified belly dancing instructor.